basic banana bread – tlc. | tender love and cupcakes. 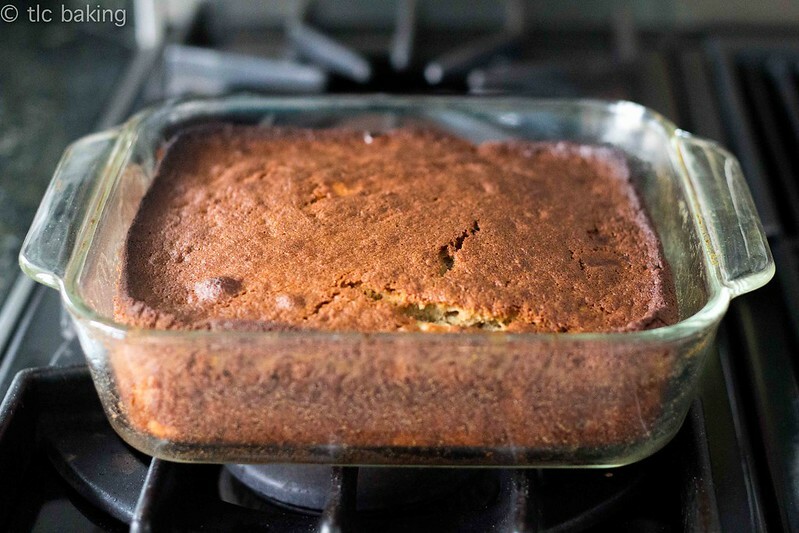 I promised you guys an original recipe, and here it is: my foolproof, go-to, absolute favorite banana bread recipe. Moist, fluffy, just-sweet-enough banana bread that can be enjoyed alone, fresh out of the oven with a scoop of ice cream, or as a base for chocolate chips, walnuts, Nutella swirls, maybe a pinch of cinnamon and nutmeg–it’s up to you! Go crazy! 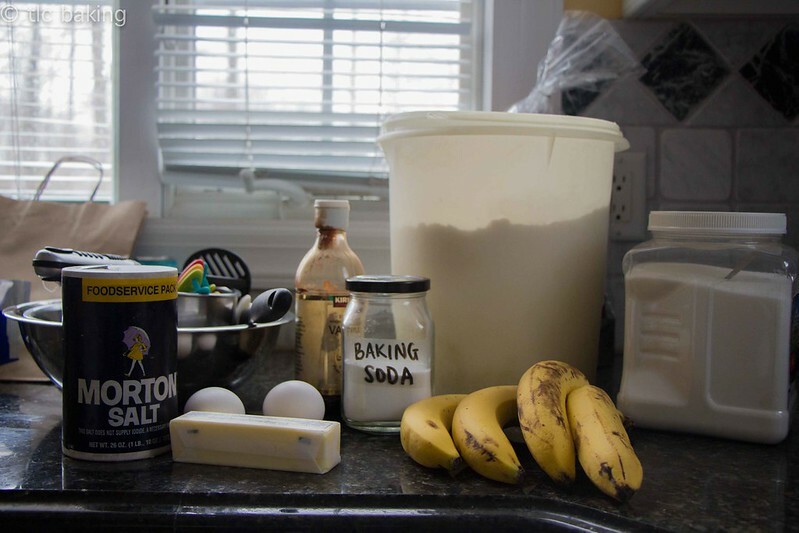 The Food Network Kitchens’ version of this banana bread was the first recipe I ever followed where I had to make anything from scratch–actual flour, salt, butter, baking soda, etc. Since then, I’ve experimented and made my own alterations to it. To this day, it’s one of my favorite recipes ever and without a doubt the one I make most often. But enough chit-chat! On to the baking! Nothing fancy in these ingredients. Just make sure your bananas are nice and ripe! The ones in this photo aren’t as spotted as the ones I normally use. I’m talking borderline rotten here. Please tell me I’m not the only one who peels their bananas from the short end? +Sift flour, salt, and baking soda in a medium bowl and set aside. +In a large bowl, cream butter and sugar until fluffy. The more patience you have here, the lighter your bread will be. +Add eggs and vanilla and mix well. 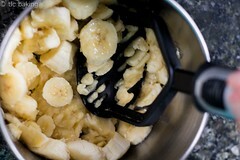 Add mashed bananas and mix. Your batter will look curdled here; don’t worry about it! That’s normal. 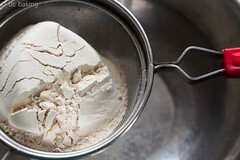 Make sure you scrape down the sides and bottom as you mix because the butter will tend to stubbornly stick to the bowl. 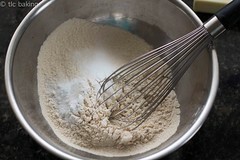 +Slowly add dry ingredients and mix until incorporated. You can do this with just a spatula to avoid over-mixing. 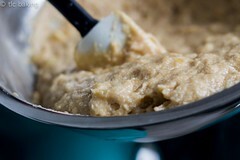 Your batter should be lumpy and sticky–thicker than cake batter, but not as thick as actual dough. This is where, if you want, you would fold in about a 1/2 cup of chocolate chips, walnut pieces, etc. 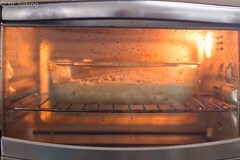 +Pour batter into pan and bake for 50-55 minutes, or until the edges of the bread are dark brown and a toothpick inserted into the center comes out clean. I tend to skimp on the sugar. If you’re using really ripe bananas, they’ll bring more than enough sweetness to cover for the missing sugar.